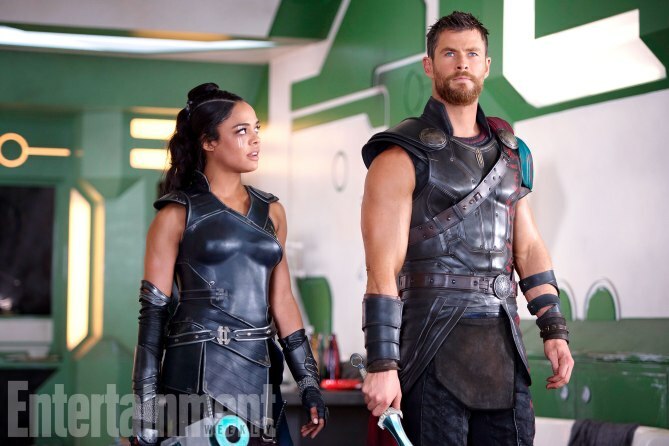 Many fans are eagerly awaiting the much-needed change of pace the third part of Thor’s adventures will showcase when the god of thunder teams up with Loki, Valkyrie, and Hulk to take down Hela in Thor: Ragnarok. Now though fans are expecting greatness, there are critics who have already watched the movie and are willing to fill us in on whether Takia Watiti’s movie is worth it or not. Reviews have started to flow in after recent critic screenings, and it looks like Marvel has a flawed-but-fun winner on its hands. Thor: Ragnarok isn’t what could be called the most substantial adventure in the Marvel canon, but it unequivocally is one of the most entertaining. It’s a sequel that takes a hard look at its series’ past and separates wheat from chaff, and produces a wonderful road movie with some brilliant character work as a result. It’s not the groundbreaker that some of its franchise cousins are, but you’ll be challenged to find a blockbuster more fun this season. Building off of that enthusiasm, Uproxx‘s review of Thor: Ragnarok echoes Eric’s sentiment by heaping praise upon the film for its originality and the sheer amount of fun packed into every frame — even saying that it surpasses James Gunn’s Guardians of the Galaxy in terms of pure weirdness. Thor: Ragnarok is by far the most unusual of the Marvel movies — a crazy, colorful, ambitious, hilarious ride through the cosmos — even surpassing the Guardians of the Galaxy movies as the former holder of that title. And it’s by far the funniest. It’s not even a question that Thor: Ragnarok is the best of the Thor movies and it’s certainly up there as far as the best in the MCU. 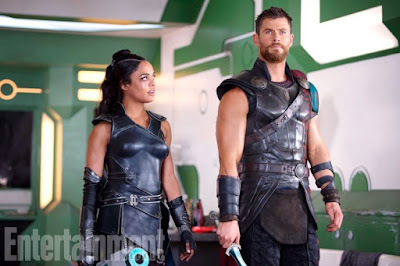 And it is also worth noting that the quirks of Thor: Ragnarok may not be for everyone. There are no sacred cows in Waititi’s movie, and fans who prefer their superheroes straight-faced and without meta-commentary might chafe at its irreverence. But the willingness to play with genre tropes is one of the most exciting things about Thor: Ragnarok. However, amid all of the praise that Thor: Ragnarok has received from critics so far, the folks at IGN have made sure to point out that (while it’s very fun), director Taika Waititi has a tendency to lose sight of Thor’s core conflict with Hela because he has so much fun adapting Planet Hulk during its second act. It’s carried by the excellent chemistry between Thor, Hulk, and Valkyrie, who give humanity to a visual effects-heavy spectacle that finally makes good on Thor’s title of God of Thunder. But it’s also a film fragmented by its clear preference for its B storyline (Sakaar) over its A storyline (Asgard). Thor: Ragnarok‘s desire to go for the gag also hurts the movie in a few key serious moments that deserved to pack more punch than they did. Similarly, although Indiewire‘s review of the film is generally positive (they even refer to it as “Marvel’s funniest superhero movie”), it sounds like Thor: Ragnarok doesn’t quite stick the landing as it moves into its slightly more formulaic third act. This might not feel too surprising for some of you, as this is something that has become a frequent issue for Marvel films over the years. All good things must come to an end, and in Marvel movies, the end always looks the same. Thor: Ragnarok zips along through its middle section before receding to a dramatic showdown where massive things catch fire and huge armies of people clash in an epic battle, which by now has become an essential ritual. Yet even as Thor: Ragnarok sags into familiarity, it does so begrudgingly, and veers off in another idiosyncratic direction moments later.